Adopting good lifestyle practices to prevent non-communicable diseases, particularly cancer, is the need of the hour. A lifestyle which involves excessive smoking and drinking, lack of physical exercise (leading to obesity and hormone imbalance) and a poor diet is the culprit for the rising number of cancer cases. 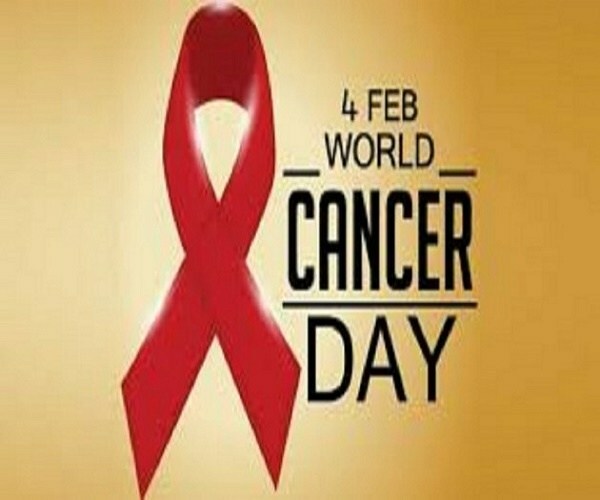 World Health Organization’s (WHO) International Agency for Research on Cancer stated that cancer will claim 9.6 million lives in the world this year. India will account for 8.17 per cent of the same. Another report by the Lancet reinforced the same saying cancer is India’s second biggest killer after heart disease. Dr Mandeep S Malhotra, Head- Breast, Head & Neck Oncology Surgery said, “Adopting good lifestyle practices to prevent non communicable diseases, particularly cancer is the need of the hour. We need to ensure we have a balanced diet and engage in regular physical activity. In high income countries our diets are marred with preservatives and added flavours. A lot of hidden carcinogens are entering our bodies. Actor Manisha Koirala, who won a tough battle against ovarian cancer, feels the disease came into her life as a gift as her vision is now sharper, mind clearer and her perspective realigned. As she completes six years of being cancer-free, she shares her story – one marked by apprehensions, disappointments and uncertainties – and the lessons she learnt along the way. In her memoir “Healed: How Cancer Gave Me a New Life”, she talks about her treatment in the US and the care provided by the oncologists there to how she rebuilt her life once she returned home. Manisha says her book is a result of intense soul-searching and she has plunged deep into the dark, bottomless pit of painful memories and woven a story out of them. “It has taken a lot of courage to confront and relive my experiences. But I needed to do so in order to become a true storyteller for the readers’ sake as well as my own,” she says. She was diagnosed with ovarian cancer in 2012. Manisha says for a decade, she had abused her body. “The poor lifestyle I had been leading made my body susceptible to diseases. Had it not been cancer, some other malady would have struck me. In hindsight, on a dark, lonely night, I still wonder what it could have been and whether it would have been better or worse,” the book, co-authored with Neelam Kumar and published by Penguin Random House, says. ALSO READ: If We’re Celebrating Women’s Day, Then Our Rural Sisters Deserves To Celebrate! “I think cancer came into my life as a gift. My vision is sharper, my mind clearer, my perspective realigned. I have succeeded in transforming my passive-aggressive anger and anxiety into more peaceful expressions,” Manisha writes. She says post-recovery, she has succeeded in transforming her passive-aggressive anger and anxiety into more peaceful expressions. In her words, she began her “second innings hesitatingly”, with a Kannada film. Manisha looks back at the period just after her foray into films in the early ’90s with a “lot of regret and sadness”. When films happened suddenly, she was just 19-years-old and not ready to handle Mumbai. “Its unfamiliarity and expanse scared me. For a young, unexposed Nepalese girl, Bollywood was a terrifying experience. Unsure of how I should be behaving and interacting on the film set, I hid myself behind books. They protected me from my fear of interacting with everyone who seemed to be so sure of themselves,” she says. She then decided to do something to overcome her shyness and feeling of awkwardness. “Alcohol came to my rescue. I loved the feeling of confidence it gave me, loosening me up, wiping out my inhibitions. Fortified by drinks, my shyness disappeared and I became quite at ease while socialising. Emboldened, I took to drinking more and more, she writes. Parties became a way of life for her. Either friends would party at her house or she would go over to theirs, Manisha says. In school, too she was a shy, introverted girl who found solace in books. ALSO READ: How 'Muslim Votes' Splits Vertically Between TRS And Congress In Telangana Elections? Says Neelam Kumar, author and cancer survivor who co-authored the book Healed—How cancer gave me a new life”, “After I was struck by cancer a second time in 2013, I felt an urgent need for two things. First, a joyous Indian book on cancer to motivate me. Second, an empowering Indian book that would keep me emotionally engaged to tide over my bad times. Since I found neither of these, I simply wrote both. Necessity, they say, is the mother of invention.” Kumar feels that while a lot has been done in the area of providing the best medication, little has been done in the field of providing emotional empowerment for cancer patients. My heart soared high the day my book “Healed—How cancer gave me a new life” by Manisha Koirala and Neelam Kumar (Penguin Random House) zoomed on to become a bestseller within two weeks of its launch.